It is the prerogative of every 'Lord Tredegar' at Christmas at Tredegar House to choose the name of his butler. 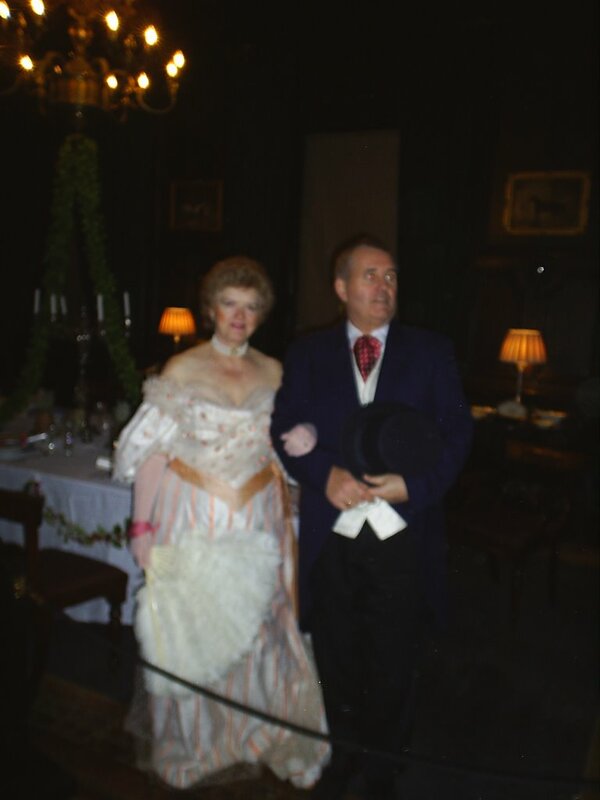 As butler this year I was in charge of chocolates (a grave responsibility) and of introducing visitors to Lord and Lady Tredegar in the Dining Room. For the first couple of nights Lord Tredegar was played by Alan Hall (tour guide of some distinction), who decided that in keeping with the Dickensian spirit pervading the House, that I was to be called 'Tulkinghorn'. Sadly, and probably because of the immense stress placed on members of the aristocracy at this time of year, the endless handshaking proved to be too much for His Lordship's constitution, and he was forced to retire from the post. Tenants on the estate wept, but, as ever, life at Tredegar had to continue. 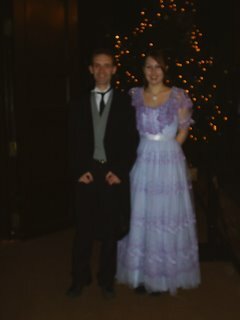 Life continued, and Lady Tredegar acquired her second husband within a week, when Michael stepped into the role. Here we see him looking distracted; he can hardly be blamed, with Fagin and the Artful Dodger given free reign of his ancestral home, it was a trying time for His Lordship. How many spoons bearing the Morgan family crest made it into the pockets of these Victorian ne'er do wells, only the House Steward, after much consultation with the Housekeeper, could be sure. The new Lord Tredegar decided to rename his butler 'Rutting'; a name that has given him great amusement ever since he first encountered it in the Middle East some years ago. Although 'Rutting the Butler' sounds more like an old English custom than a name, I assumed the title with grave dignity. A butler should always set an example to others Below Stairs, in both appearance and manners. When talking he must be polite and deferential; when walking he should be, as PG Wodehouse put it "a stately procession of one." Unfortunately, I also had to help carry the prams and pushchairs from the Side Hall down into the Housekeeper's Room for collection. It is hard to be taken seriously when you are pushing a pink, double-seater pushchair (complete with fluffy toy poking out of the seat) through a crowded house of merry makers. I craved the sanctuary of the Butler's Pantry!